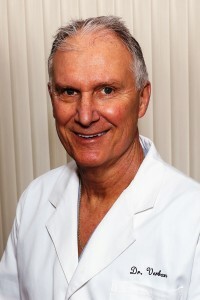 Dr. Emil M. Verban received his Doctor of Dental Surgery Degree from Loyola University School of Dental Science in 1976. He has been in full-time practice of General Dentistry, in Bloomington, Illinois with a special interest in cosmetic and implant dentistry. Dr. Verban is a nationally recognized leader, lecturer and educator in implant and restorative dentistry. He has developed and patented surgical products which greatly increase safety and precision for implant surgery. He has advanced training and is certified in intravenous sedation. He has published numerous articles on implant dentistry and is on the Editorial Board for the Journal of Implant and Advanced Clinical Dentistry. He has been President of the Mclean County Dental Society and Chairman of the Peer Review Board of Mclean County. Dr. Verban is a member of the American Dental Association, American Academy of General Dentistry, American Academy of Perio, American Academy of Osseointegration and International Team of Implantology of which he is a certified speaker. Verban, E., “ A Self-Adjusting TMJ Appliance “, The CDS Review, October 1986. Integrating Implants into Your Practice Dr. Chinwall’s Study Club Woodridge,Illinois. Integrating Implants into Your Practice Northwest Indiana Study Club Schereville,Illinois.